Are you a dealer? Login to your dealer dashboard to generate pricing. What ratio is right for you? 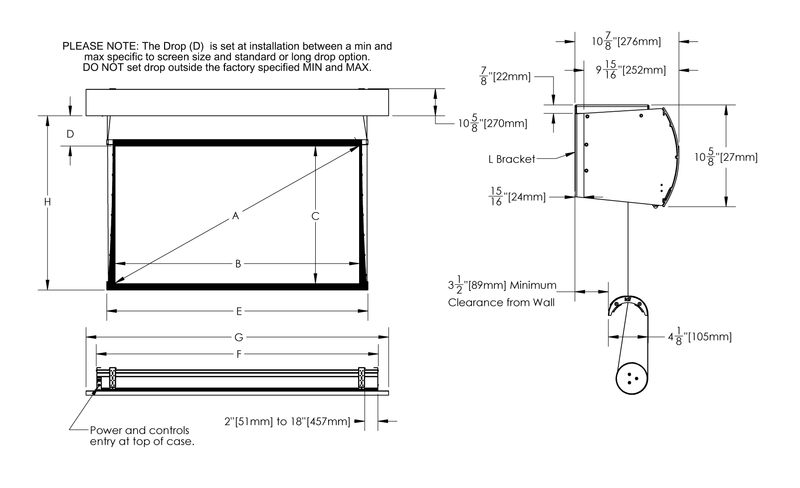 Drop field adjustable: 6 - 60"
Working with specific dimensions? Input them below! A copy of this quote has been successfully sent, check your inbox! You have selected a new drop option for your screen. This selection has a maximum diagonal size smaller than what you've selected. This adjustment will reset your diagonal and screen material on your current selection. Would you like to proceed? Your quote has been sent to the dealer of your choice.